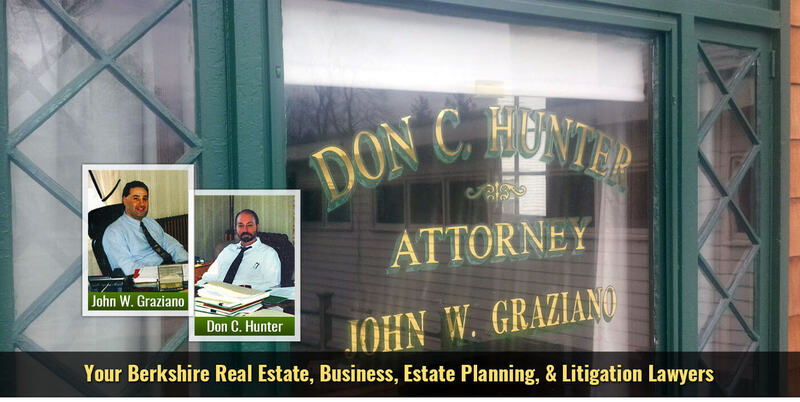 Hunter & Graziano, P.C. is located on the Park in downtown Lee, gateway to the Berkshires. 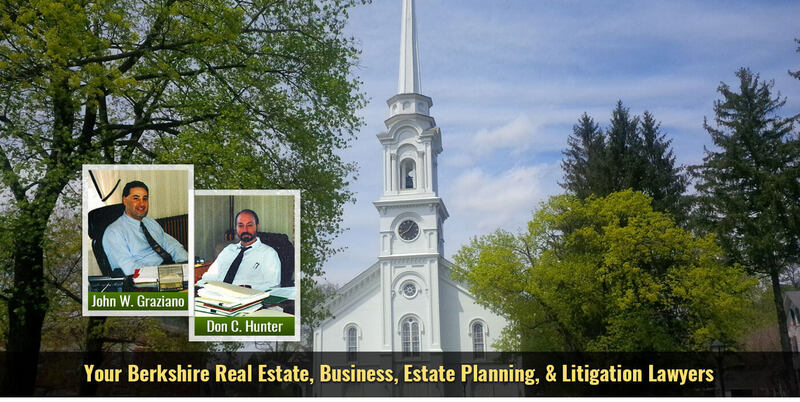 We provide prompt, thorough and professional attention to our clients in and around Berkshire County and throughout Western Massachusetts and select counties in New York. Despite our small size, we have been involved in some of the largest transactions in Berkshire County and complex litigation in both Massachusetts and New York. Each year we work with hundreds of real estate clients using our experience and knowledge to make each transaction as smooth, efficient and enjoyable as possible. Although we conduct hundreds of closings each year, we know the most important closing is your closing. 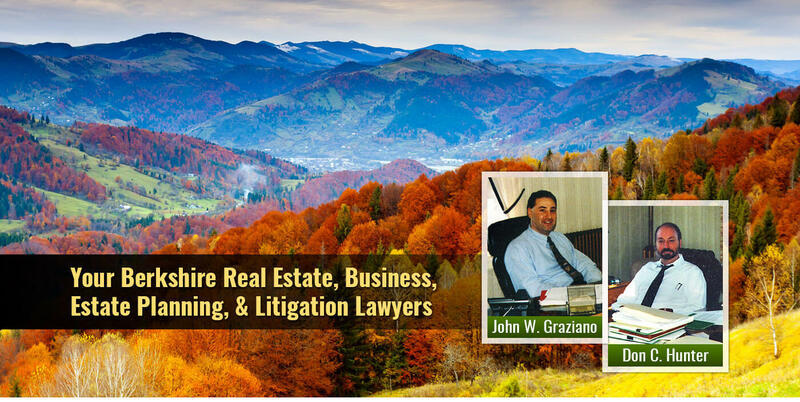 At Hunter & Graziano, P.C. 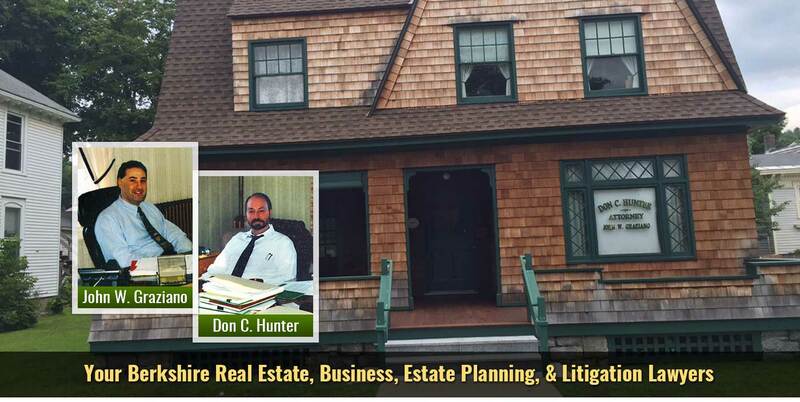 we can offer big firm experience with a small firm attention to you and your closing. Whether you are buying, selling or refinancing real estate in Pittsfield, Lee, Lenox, Stockbridge, Becket, Otis, Richmond, Great Barrington, Tyringham or anywhere else in Berkshire County, let us help you. 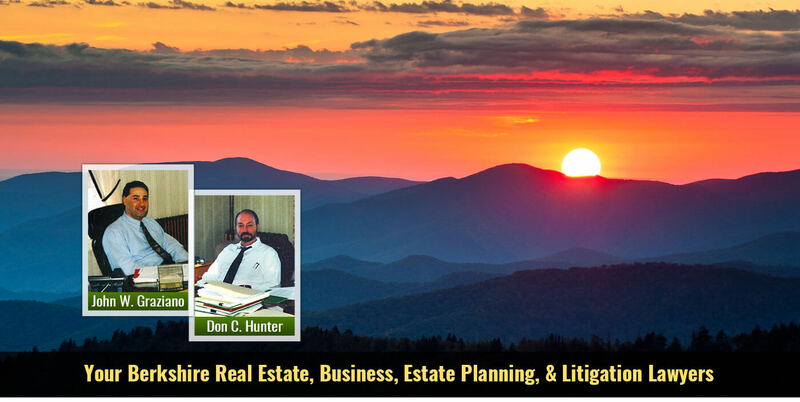 Among our areas of expertise are Residential and Commercial Real Estate (including closings, purchases, sales, refinances, development, sub-division, zoning and municipal law) Business, Corporate and Commercial Law, Wills, Trusts, Estates, Probate and Asset Preservation, and Litigation in all civil matters. Our lawyers have over 50 years of combined experience in these areas.